LOKOJA—Harvest from a disputed cashew plantation, weekend, led to a fracas that claimed the lives of five people, with over 50 houses razed at Aloko-Oguma in Bassa Local Government Area of Kogi State. It was gathered that the crisis erupted following a dispute between the Bassa Kwomu and the Igala over harvest at a disputed cashew plantation. 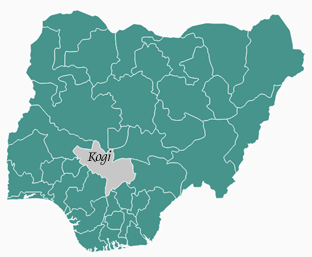 The Igala claimed the Bassa Kwomu had earlier killed one of their members and buried him secretly without a trace of the grave, a development that angered the Igala, who reportedly mobilised for reprisal attack. The reprisal attack, carried out Friday morning, was said to have left five persons dead on the side of Bassa Kwomu, with 50 houses burnt and property worth millions of naira destroyed in the fracas. The Igala, yesterday, deserted the community for fear of reprisal attacks by the Bassa Kwomu. It was gathered that there had been a long time rivalry between both tribes; the cashew harvest fracas being an opportunity for both tribes to unleash their anger on each other. Sole Administrator of the Local Government, Samuel Alumka, and the member representing the area in the state House of Assembly, Sunday Shigaba, who visited the community weekend, appealed to the warring parties to sheathe their swords. Armed soldiers and policemen have been drafted to the community to prevent further clashes. The post 5 dead, 50 houses razed, as Kogi communities clash over cashew appeared first on Vanguard News.